Eurofab Technologies Ltd-Dungarvan Business Park Dungarvan Co Waterford Ireland. 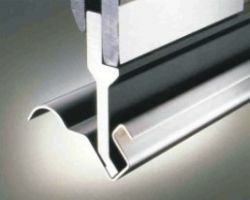 Brackets, Housings, Enclosures, Chassis, Bus Bars, Cabinets, Panels, etc. CNC Punching, CNC Controlled Forming, Spotwelding, Mig, Tig & Aluminium Welding, De-Burring, Pemming, Assembly, Silkscreening, Painting, Plating. 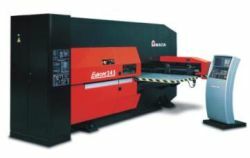 Amada Aries 245 CNC Punch Press. Amada Arcade 210 CNC Punch Press. Amada HFB 50 20 8 Axis Operateur 2 CNC Press Brake. Amada HFE 80 25 7 Axis Operateur 2 CNC Press Brake. Amada ITS 50 20 5 Axis Operateur 1 CNC Up Stroke Press Brake . Tig Inverter - Tig Welder . Meritus 30 KVA Water Cooled Spot-Welder. S.I.P 25 KVA Water Cooled Spot-Welder. Spiratron “O” Series Vibrating Tumbler . Sealey 3M De-Burring Station . CEA. Full Range of plating and painting finishes.